Creating forms is one of the most basic skills for a web developer. It’s easy to, do but achieving the best user experience takes some work. 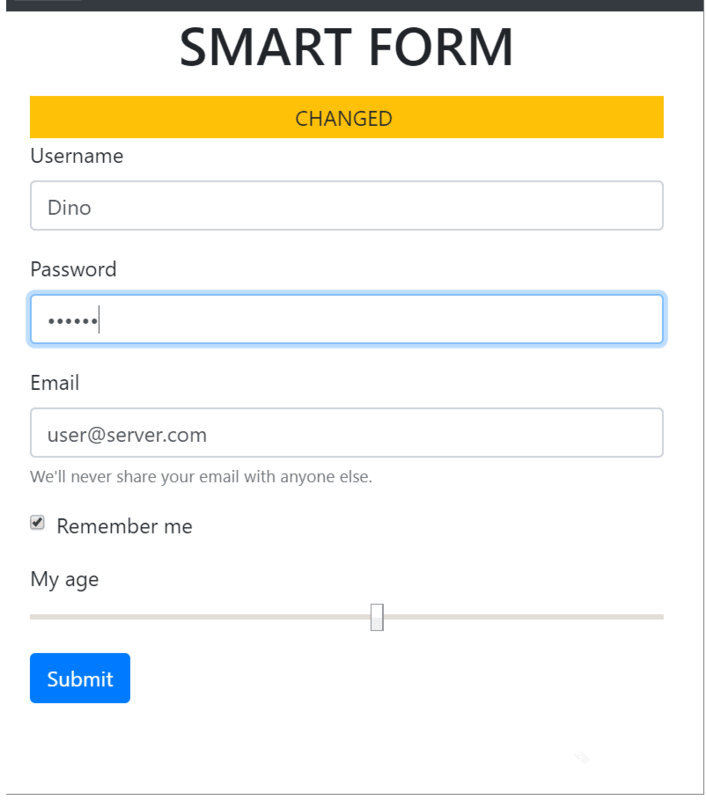 In this article, Dino Esposito demonstrates how to improve the usability and functionality of web forms. Let’s state that, without any further ado, dealing with HTML forms is boring. For some time, when a full-page refresh was still acceptable to end users, forms were relatively simple to work with: just collect data and post. Today, validation is required on the client and the server, and posting should happen via Ajax which requires some additional script. As a result, many repetitive and boilerplate tasks such as layout, validation, submission and display of the response are on the list for each and every form your application may need. Today, it’s a point of honor for most web frameworks to streamline the process by handling many of the inevitable chores. Angular, for example, does a good job with forms through the FormsModule and the NgForm directive. In this article, I’ll focus on what you can do to enforce the logic behind an HTML form before it can be submitted to the server. There are many little things that can make the user experience a bit smoother and even more pleasant. I’ll incorporate some of them into a small vanilla-JS framework you are welcome to use as-is or, if you like it, integrate into your own solutions. In this article, I’m going to cover the first two aspects leaving the other two for a successive article. It is worth noting that the Angular FormsModule addresses the same concerns through the use of an advanced syntax backend supported by a gigantic and comprehensive framework. In the vision of the HTML5 committee, that should give developers a universal way to accept a date within their forms. It’s only a spec, though, that browsers rendered in different graphical ways and some old browsers (most notably Internet Explorer) didn’t transpose at all. In addition, even when the specs are implemented in full compliance, it might not be the ideal way that errors are rendered and configurability is supported. Finally, there’s the point that some developers reckon that users should get the user interface of the agent they’re used to, and others that would maintain that a uniform experience is always preferable. As far as dates are concerned, if your stand is the former then all you do is use the date input type. Otherwise, you pick up your favorite calendar plugin and attach it to a plain text input field. For what it’s worth, my personal stand is the latter. Here’s the code I love to use when I need to grab a date from within a form. I tend to distinguish the behavior between truly mobile devices and desktop browsers. On mobile devices, I’d go for the native calendar control. On laptops, instead, I’d go for a unified experience through some calendar plugin. To do mobile detection, I suggest you look into WURFL.JS, a free service that does a good job of detecting mobile devices. For more information, see http://wurfl.io. A point to keep in mind is that no validation is applied consistently to entered values. While the browser’s user interface generally doesn’t let you enter patently invalid dates, it is still possible for the user to type or paste text into the field that doesn’t match a valid date and in the range of acceptable dates, you may have configured through the min and max attributes. In other words, you may get browser-led error messages (outside your programmatic control), but you might want to check that provided values are those you expect. To make a long story short, you can’t completely trust the browser’s implementation of date inputs. With a calendar plugin, instead, you have a lot more control. A similar story can be told for numbers. In fact, I suggest using a similar script validation for numbers to guarantee that nothing but digits are entered and that they are within the given range of values. The lesson we learn from this is that beyond built-in form validation, it is only via a script that you can ensure that entered data is in the proper format. Let’s say that you decide to go with the above approach for all your date and number input fields. How would you silently attach those handlers to all such fields in all HTML forms? Some preliminary work should be orchestrated before a form is displayed. Believe it or not, this is just what all libraries do, including the Angular form module. We'll never share this with anyone else. Whether you want to attach some ad hoc configuration to a form or some individual input elements, you must first find a way to easily select them. CSS selectors are an excellent approach. By adding a custom, even empty, CSS class to the form, you make it simpler and, more importantly, general for developers to attach some script code to initialize the form in the page. After finding all INPUT elements within the form, the code iterates and adds a data-orig custom attribute set to the current value of the field. Note that the jQuery val() function doesn’t return Boolean, so some additional work is required to support checkboxes and possibly other specific types. Another necessary step consists of adding some user interface elements that will be responsible for showing the current status of form, in other words, whether it has pending changes. The structure of this user interface is entirely up to you, but in some way, a reference to it must be communicated to, or discoverable by, the script. A simple way to achieve this is by assigning a CSS class to the container of the user interface. The DIV below is then the container of any user interface message from the form. What you put in the DIV depends on how sophisticated you want the form to be. At the very minimum, the DIV will show a message that tells about the changed or pristine state of the form. However, you can add a timer that counts the time the user spends on the form and even a button to reset the state of the input fields to the original values. The changed/pristine state of the form will reasonably affect the state of the submit button(s). In the end, the script will be extended with a new function. The function is invoked as first thing in the initialization script. The header bar at the top of the form will be styled as dictated by the custom ybq-form-header class. However, the style changes to Bootstrap’s bg-warning state when the state of the form becomes changed and will be restored if the state returns to pristine. The final step is finding a way to detect changes. There’s not just one way to do it, but the one I’ve chosen here is adding a timer. Fired every one or two seconds, the timer may serve two purposes. One is checking that the values in the various input fields are different from the original values. The other is calculating the time the user has spent on the form. Take a quick look at how the __isChanged helper function being used. It invokes the __getCurrentValue defined earlier and checks its value against the pristine value stored in the data-orig attribute. Enriched with the above (and silently attached) script, the relatively scanty original form will now look like the one in Figure 2. If you compare Figure 1 and Figure 2, you will see that state of the button is different if the form contains changes to be posted to the server. This article identified four aspects that, if improved, would produce more user-friendly HTML forms, even in ASP.NET or any vanilla-JS programming environments. Type-specific input fields and detection of changes in the form are covered in the article while form validation and posting will be covered in a future column. Related to the problem of detecting changes in the form, is the problem of validation that also the Forms module of Angular addresses. If there’s a way to validate the content being posted, in fact, then the form should not post any invalid content. Validation, though, is a more delicate matter that is easier to deal with in an overall MVVM model. Some good results, however, can be obtained even with vanilla-JS within ASP.NET or maybe PHP web pages, but you’ll read about it in the next article. WTF? Malformed HTML (in a lot of places, meaning is no typo) and where the hell $(“”) is vanilla? Are you drunk? 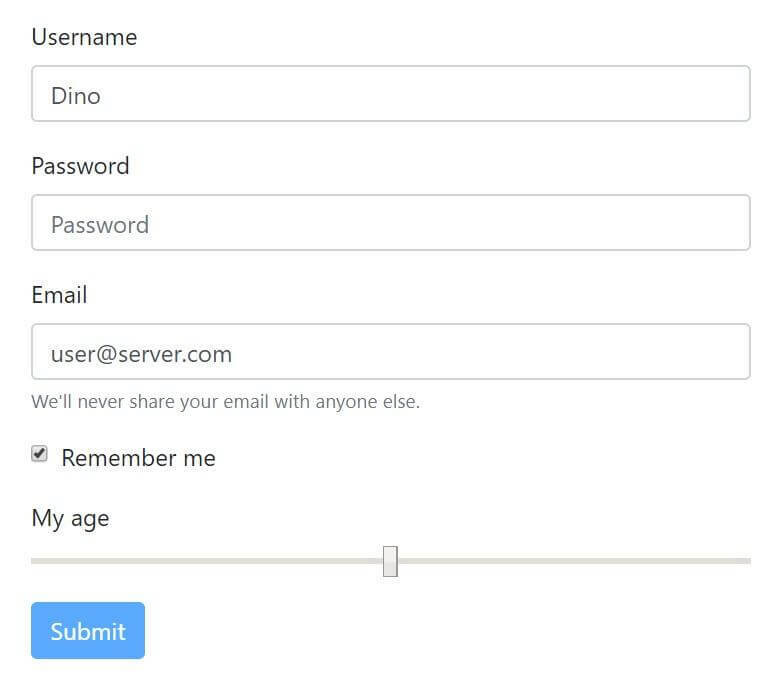 I love you Dino, but, better forms with Vanilla JS using jQuery?